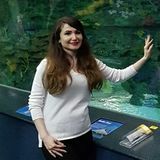 Want to connect with Ghazaleh? According to ragio emilia's approach children have to have freedom to explore to feel to be free. To be a teacher for yonge children in my opinion one is supposed to focus on letting the children take the lead of their learning and just be the fascilitator of their learning opportunities and I base my curriculum on the children's interests and plan emergent curriculum .